My first son loves Seaweed. 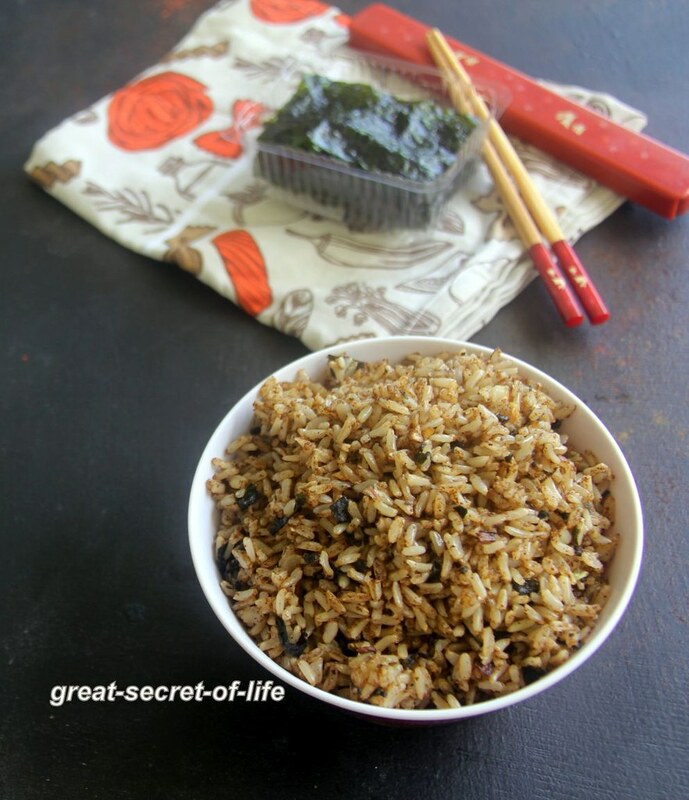 Every time when I buy seaweed I thought of trying this rice. But most of the time when I get to it he would have finished it. 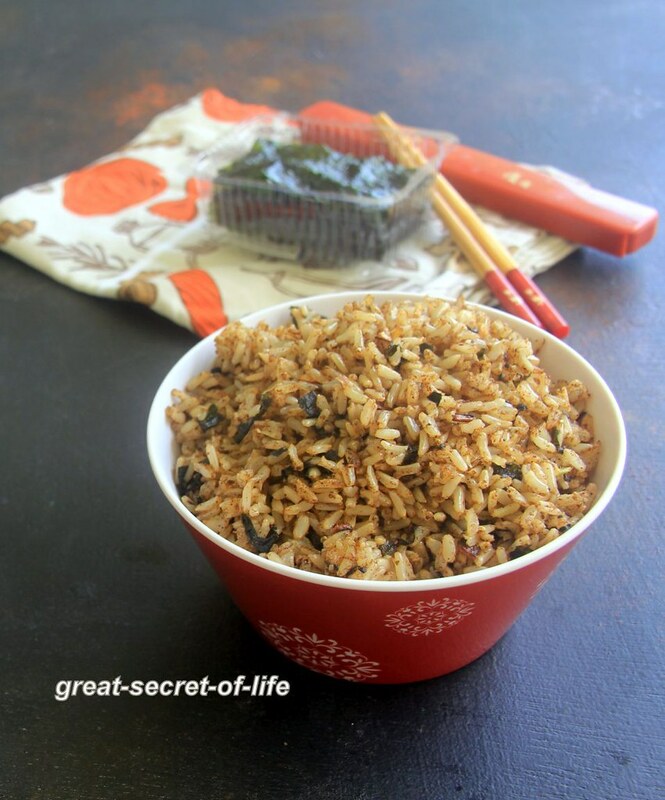 Last week when I was in China I have tried seaweed fried rice. It was so flavourful. for some people cannot stand the flavour of seaweed for me I get to try this after moving to Singapore. during my first year in Singapore I used think it is not vegetarian Later on one of my colleague said it is even suitable for even vegan. Recently I was searching about the health benefits of seaweeds. I saw lot of article about it. So if you want to read more about it pls check it in net (just google it). You can add your favourite vegetables. If you are adding vegetables add it after garlic is brown and fry for 3-5 mins before adding rice. Dry roast Sesame seeds and Chilli. Keep it aside. Roast dry coconut till brown color. Add to roasted Sesame seeds. Let it cool down.